Country Orchids, an award-winning florist and has been in business for 30 years, will take that "special" care in your every floral need. Friendly help in preparing your orders as we receive them to "your" specifications. We don't just take an arrangement out of the cooler, we create it especially for you. We've been in business for twenty years and are committed to offering you only the best. 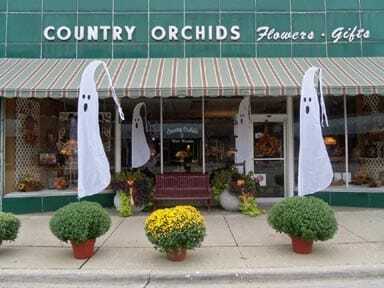 Want something special and unique, call Country Orchids for those who aren't "content with the ordinary". Our shop serves the following areas in Illinois: Fulton, Albany, Morrison, and Thomson. If you have any questions or need more information, please call us directly at (800)796-7244. We're always here to serve you and make your flower-sending experience a pleasure.